This post highlights findings of a December 2018 report by the U.S. Government Accountability Office (GAO) on the use of waivers and exceptions of the Buy American Act of 1933 (BAA). GAO found that of the federal agencies’ purchases of $196 billion in products in Fiscal Year 2017, less than 5% (about $7.8 billion) were foreign end products, with only $550 million of that total attributable to waivers under international trade agreements. Thus, the small role that trade agreements play in exclusions from the Buy American Act should serve as a useful rebuttal to arguments that trade agreements undermine the BAA. The GAO report, Buy American Act: Actions Needed to Improve Exception and Waiver Reporting and Selected Agency Guidance, responds to a congressional request for a review of federal agency implementation of the BAA. The GAO assessed the extent to which the federal government procures foreign products through Buy American Act exceptions and waivers, as well as the training and guidance provided by select agencies to implement the BAA requirements. The Buy American Act establishes a preference for the purchase of domestic end products by the federal government. However, agencies can procure foreign end products under certain circumstances. Federal procurement regulations provide several exceptions to the Buy American requirements, including when a domestic end product is not reasonably available in sufficient quantities of a satisfactory quality, its cost would be unreasonable or its purchase would be contrary to the public interest. Other exceptions apply to commercial information technology and commissary resale. The BAA restrictions do not apply to products from 27 countries that have entered reciprocal procurement agreements with the Department of Defense (DoD) based on the agency’s determination that it would be inconsistent with the public interest to apply the restrictions to those countries’ products. The Buy American Act also does not apply to products that are purchased for use outside the United States or obtained through contracts under the micro-purchase threshold ($3,500 in FY 2017). To enable the U.S. to comply with its international procurement commitments in the WTO Government Procurement Agreement and free trade agreements, the Trade Agreements Act of 1979 authorizes the president to waive domestic purchasing requirements, including the Buy American Act, for procurement of foreign end products from countries that are party to such agreements. (That authority has been delegated to the U.S. Trade Representative). The trade agreement waivers only apply where the purchase is at or above a certain value (threshold) specified in the agreement. The waivers may not be used for procurement excluded from the agreement, such as purchases set aside for small businesses. $550 million for foreign products subject to a trade agreements waiver. GAO found that its data analysis for FY 2017 was consistent with the information agencies reported in the federal procurement data system for the previous four fiscal years (2013-16), with foreign end products accounting for approximately 3% to 8% of goods subject to Buy American Act restrictions during those years. For FY 2017, the foreign end products primarily came from South Korea, the United Kingdom, Afghanistan, Canada, Mexico and the United Arab Emirates, which together accounted for almost half of the total foreign end products. DOD accounted for more than 80% (roughly $6.4 billion) of the total obligations for foreign end products in FY 2017, primarily for products for use outside of the U.S. or due to its public interest exception for qualifying countries. 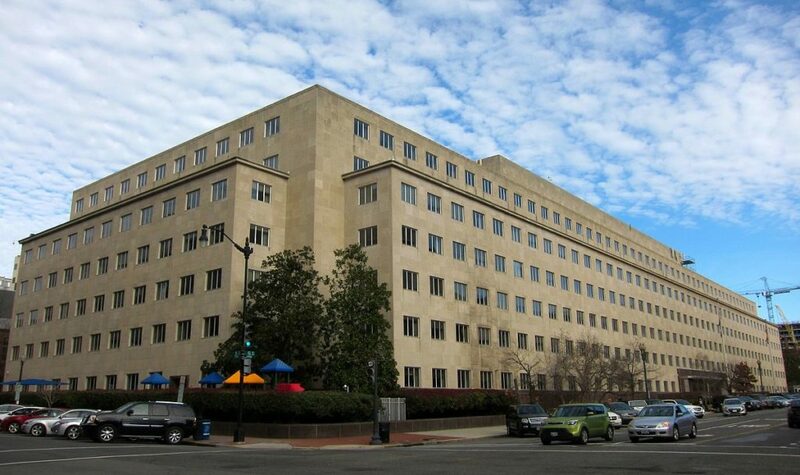 GAO concluded that due to data reporting errors by contracting staff and limitations in the federal procurement data system, the use of exceptions and waivers was “not fully captured”. It also pointed out that while suppliers have the responsibility of certifying the origins of products that they provide to the government, “contracting officers would benefit from resources that help them identify information that may be inconsistent” to ensure that they have accurate information on a product’s origin. GAO also set out recommendations relating to training and guidance on BAA implementation for the Office of Management and Budget and the Department of Homeland Security, Veteran Affairs, and Health and Human Services. This entry was posted in Buy American, Government Procurement and tagged Buy American Act of 1933, defense reciprocal agreements, Exceptions to Buy American Act, Government Accountability Office, Trade Agreements Act of 1979, Waivers by Jean Heilman Grier. Bookmark the permalink.